I'm working on a manuscript with two alternating points of view. To tell the story of a community shooting in my WIP and how it affects the community, I feel like I need both viewpoints. But I struggle every time I work on it to make sure that my voices sound different. If the chapter title with the characters' name was somehow left off, I still want readers to know who is telling his story by the voice on the page. Recently, I was also critiquing a very talented YA writer in one of my classes, and he is writing in multiple points of view. I just gave him the advice to have each POV character describe the same character in a paragraph as a writing exercise. When he does this, he should pay attention to the word choice and sentence structure of each POV character, as well as what each character notices. This is an excellent writing exercise to do when you are starting any novel, especially one with multiple voices. I am a huge Divergent fan, but one thing that drove me crazy in book three was the alternating points of view between Tris and Four. I didn't feel like I could always tell whose point of view the chapter was in unless I read the title. Plus, until the end of the book, I wondered why the author chose both points of view. That's the other thing about multiple points of view. There needs to be a reason they are being used besides it's popular. Each character has to reveal a new plot thread the other one can't. I recently read a great book with multiple POVs that I felt was well done and uses this device for the right reasons. 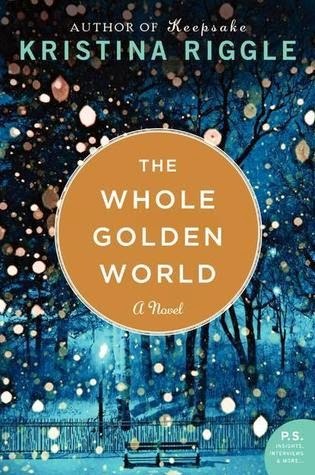 The book is called The Whole Golden World by Kristina Riggle, and Riggle alternates between three female characters: a teenager having an affair with her married teacher, the wife of the teacher, and the mother of the teenage girl. Each woman has an important story to tell, and believe me, their own take on the teacher! So when you write in multiple points of view. . .
Make sure readers can distinguish between your characters' voices without the aid of chapter titles. If you are having trouble with your characters' voices, then try a writing exercise where you describe the same person or event from different viewpoints to work on word choice and voice. There needs to be a reason for all the POV characters. What is each character revealing to the reader that the others can't? So, are you writing in multiple points of view? What are the challenges you have faced? Do you like to read books with multiple points of view? Have a favorite? Margo L. Dill is the author of Caught Between Two Curses and Finding My Place, both written in one point of view. 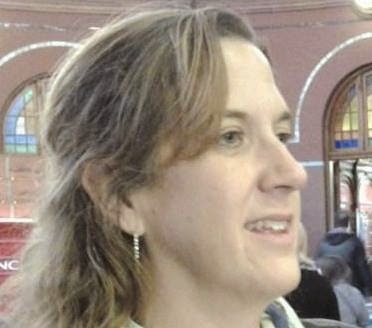 She teaches children's writing and novel writing classes for WOW! Find out more in the WOW! classroom. Good luck. That technique can really pay off--the reader really benefits. Thanks for the recommendations. I think I'm so interested in this now because of my WIP and I see it so much in my students' writings. Multiple points of view must further the plot or enhance the story in some way--that's an excellent point, Margo. Great post. I'm working on a novel with an omniscient viewpoint, which becomes first person as each person shares their thoughts or engages in dialogue. It's the only way to tell this story with multiple main characters (think Grey's Anatomy :) ). Working hard to keep each person's voice, POV, unique. Won't know if it's working, I guess, until I reach the point where a 'real' editor gives it a read. Love the writing exercise! What a great suggestion. I've never written from multiple POV (on purpose). Ahem. I'm in awe of fiction writers. Coming up with the ideas for their stories, etc. And keeping track of a lot of characters and their POVs. I bow to all of you! Great article, Margo! I was just going to mention Piccult ... Good luck Margo! Can't wait to read the finished product!!! I am late to the party but I would've mentioned Picoult, too. I love most of her books but sometimes the characters, male and female, end up sounding the same. "The Help" is also an example of a story told by distinct and different voices. I have a tough time pulling off multiple POVs myself but I do want to try it again. Good luck with your new mnuscript--I like the premise already! I also want to check out this book by Kristina Riggles. @Lynn WOW your book sounds hard to write but awesome to read. @Renee: You gave us a GREAT example with THE Help! Thanks. @Becky I am in awe of how you can remember your life in such vivid detail. I can't do that at all!!! @Karen and Kathy thanks for stopping by. @Sue oh my gosh, switching POVs when we don't mean to is too easy!! !